If you’re in the photography industry, leaving your clients with a good impression at the end of a job is very important. The best way to show your clients that you enjoyed working with them is a small gift which you can give them as part of your photo delivery package. Giving a pen with your logo on it is quite an old-fashioned idea, so what are the gifts that really say “thank you”? 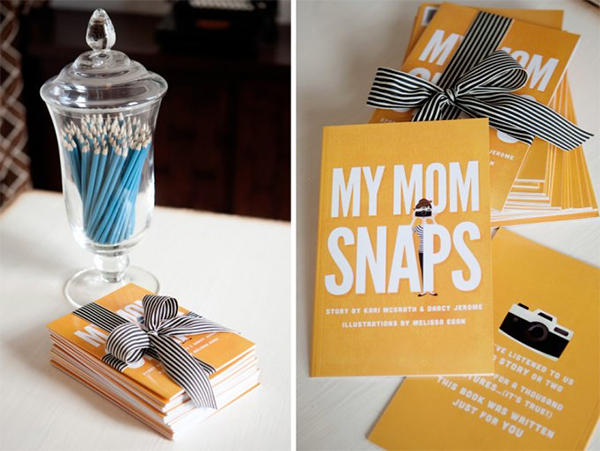 Here are 15 possible gifts for your photography clients to give after the photo session. 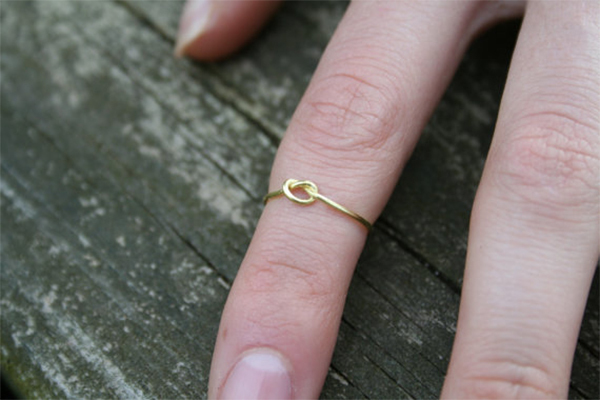 The collection includes some DIY ideas, for those who enjoy handcrafts. What could be better than a cup of coffee and a chocolate? 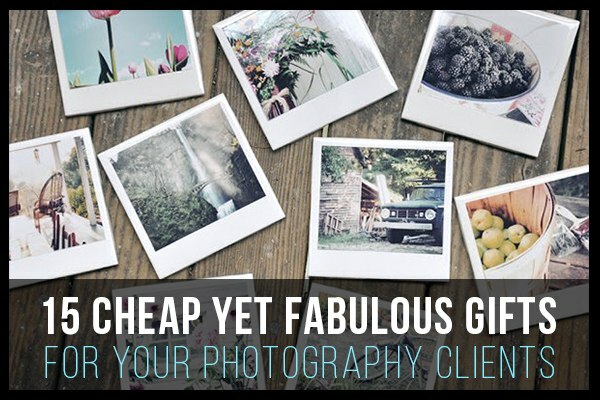 It’s cheap, yet great gift for clients. 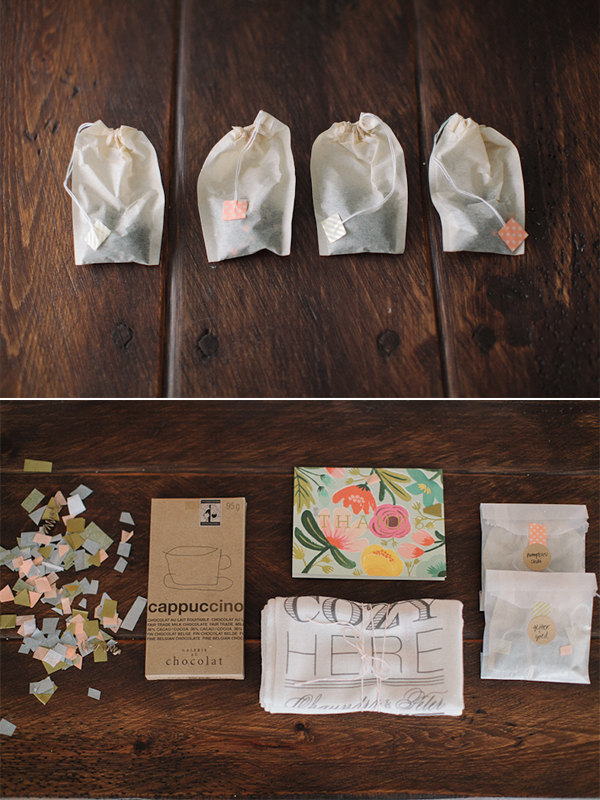 Michael Ruth, the author of this idea, has also made some personalized tea bags with cute tags that your clients may like. This gift is perfect for families with little children. The book is full of vivid colors and cheerful illustrations. 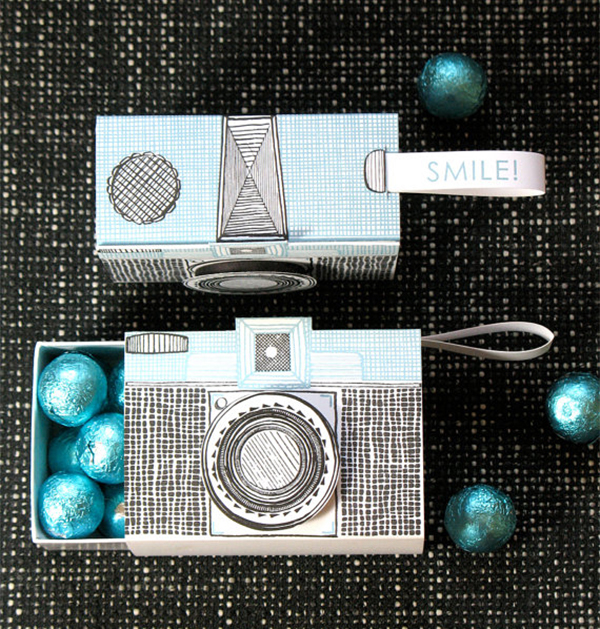 This camera-inspired candy box is a perfect gift for clients. It will remind them of the photo shoot and make them smile. 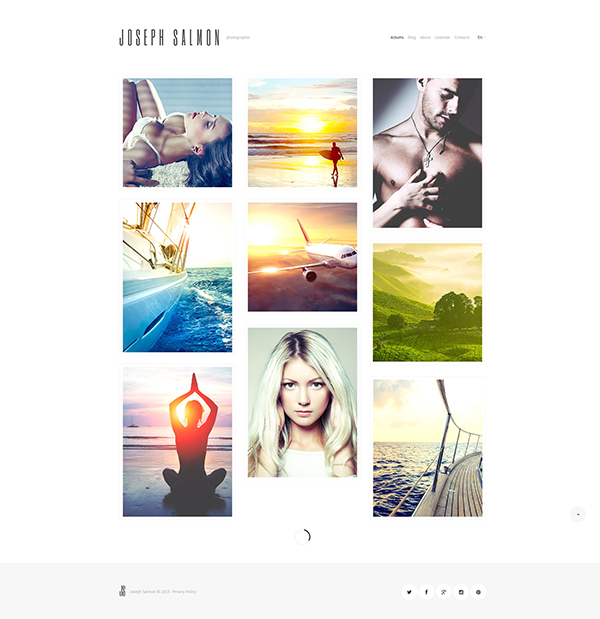 Along with a portfolio site and other features, Defrozo offers galleries for clients. You may use them for photo proofing and delivering. No need for an in-person meeting or attaching huge files to an email. Just upload photo samples or finished work to the client gallery and send a link to the client. 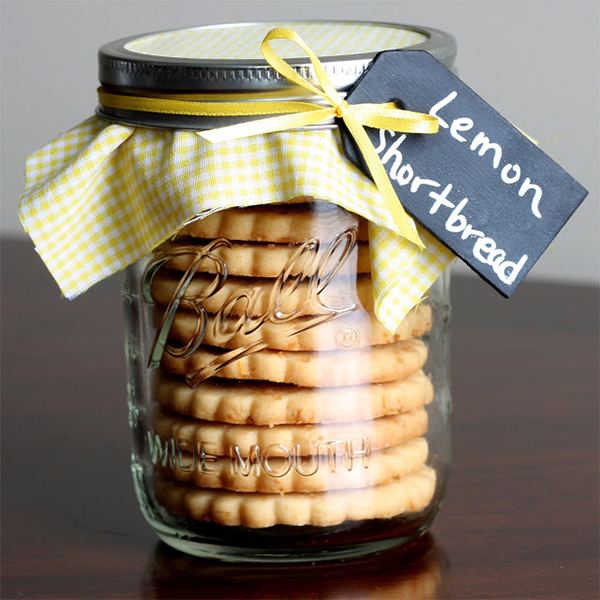 If you like to bake, you can make cookies and package them in an unusual way in a jar. This shows your clients that you really care, since you went to extra effort to bake for them. 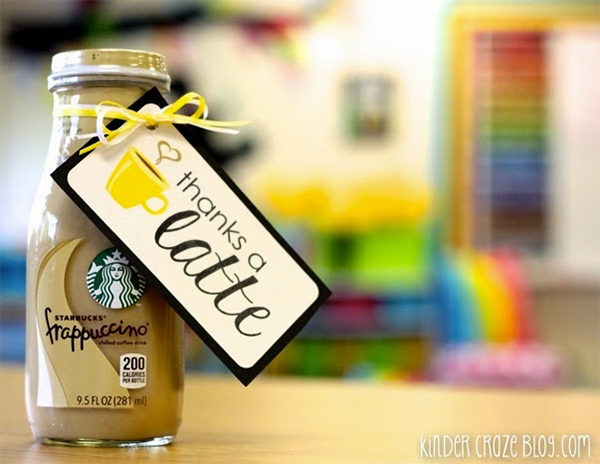 It’s one of the simplest gifts for clients: just buy a cappuccino in a local cafe and attach a “thank you” note. Most people love coffee and will therefore associate your business with positive emotions. 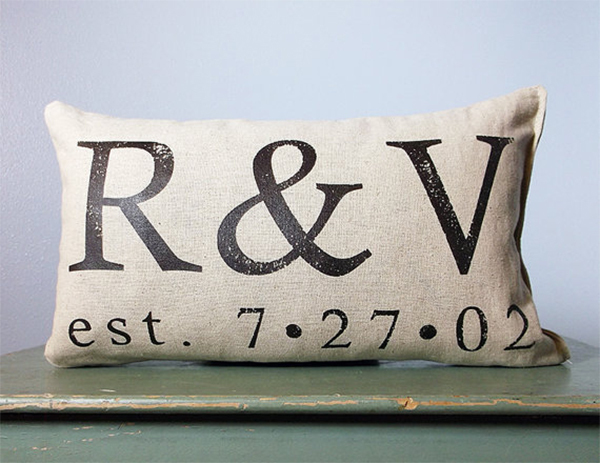 These pillows will be a great gift for a couple whose wedding or engagement photos you took. The personalized state map is a good way to document a couple’s first day as husband and wife. It has a small heart on the map at the exact place where the wedding took place. This small gift is a perfect “thank you” for a stylish bride. 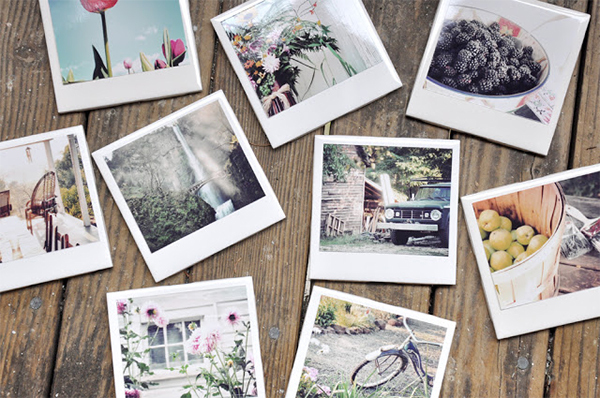 This gift suits any person you’ve taken pictures of. 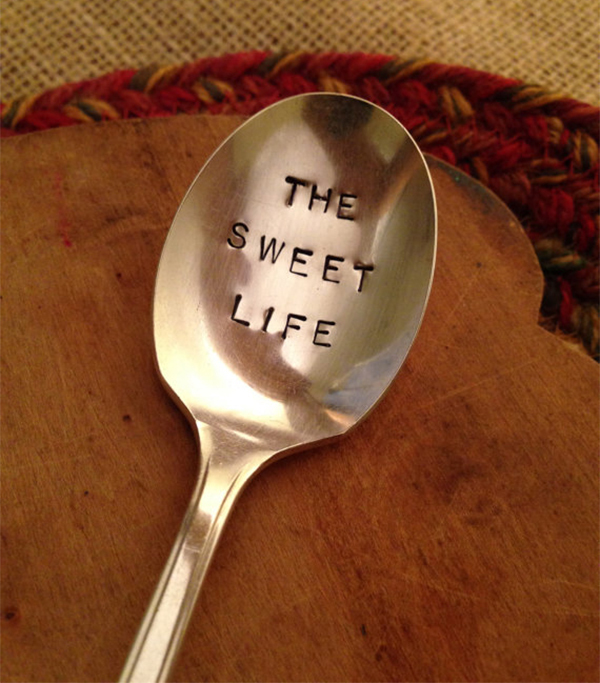 The spoon is an elegant and useful gift that promises the receiver a sweet life. 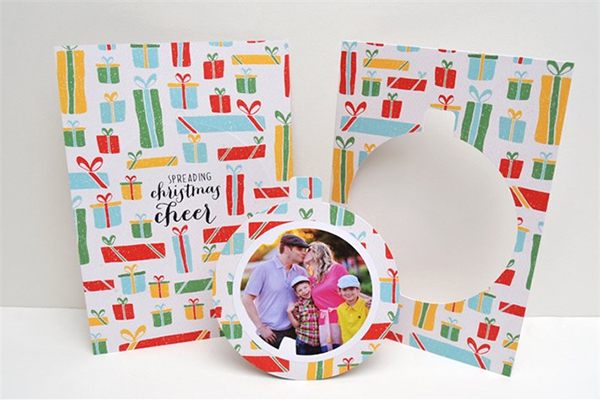 Choose one of these awesome Luxury Pop-up Cards in which you can include one of the photos you took for your client. This gift is so great you may want to get one for yourself. 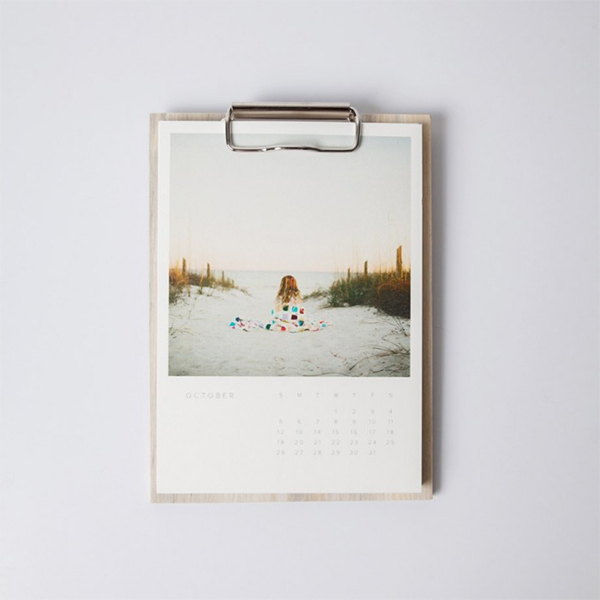 Just upload 12 of the best photos from a photo shoot and let your clients enjoy them printed on a high-quality wall calendar. This website offers a tutorial that will walk you through the process of creating polaroid coasters using the photos you have taken. You can give your clients each a pack of coasters with their photos on. 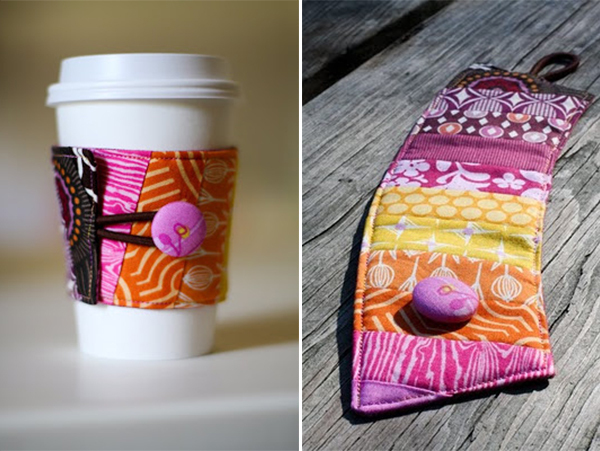 For those of you who like to sew, this website offers a tutorial on how to make a sleeve for a coffee cup. This could also be a nice gift for a client. 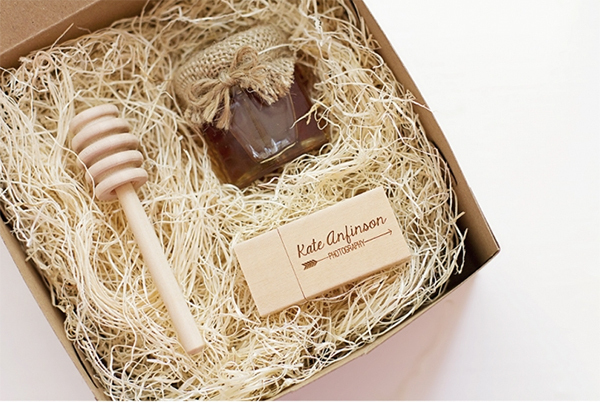 A little honey jar can be a sweet bonus for your clients when you deliver their photos. Hopefully, one of these ideas comes in handy for you. Tell us in the comments what you usually give your clients after a photo session. Also, help us spread this article through the social media world by your likes and shares. Check out also our previous showcase of fantastic packaging and presentation ideas for photographers. You may use them for your clients’ gifts.